In the Fairy Kingdom, love is always in the air! Follow the exploits of the Wexford family and their friends as they try to find love and their own “happily ever after” in a world filled with magic, and more than a little bit of whimsy. Even if it sometimes take human intervention to find it! He’s King of the Fairies. And he’s on the run. 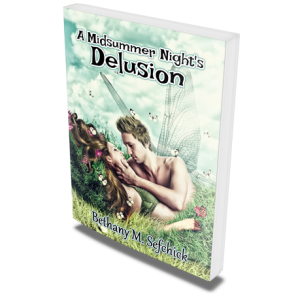 Julian Wexford, better known as Oberon, King of the Fairies, is in trouble – big trouble. His royal court is in an uproar and he’s on the run, scurrying across the globe to escape the bounty hunters his stepmother has hunting him down. Kelly Harcourt is a failed sculptor with men issues – big ones. Living alone and running an antique store isn’t exactly the life she dreamed of as a little girl, especially after her Irish grandmother filled her head full of stories of magic and fairies when she was a child. Still, for the moment, it’s all she has. At least until Julian crashes into her life – literally. Can Kelly help Julian evade the search? Can Julian help Kelly overcome her men issues? And more importantly, can the two of them put up with each other long enough for Julian to reclaim the throne? This 56,500-word novel is written in the modern, adult romance style for a much hotter read. It may not be appropriate for younger audiences.